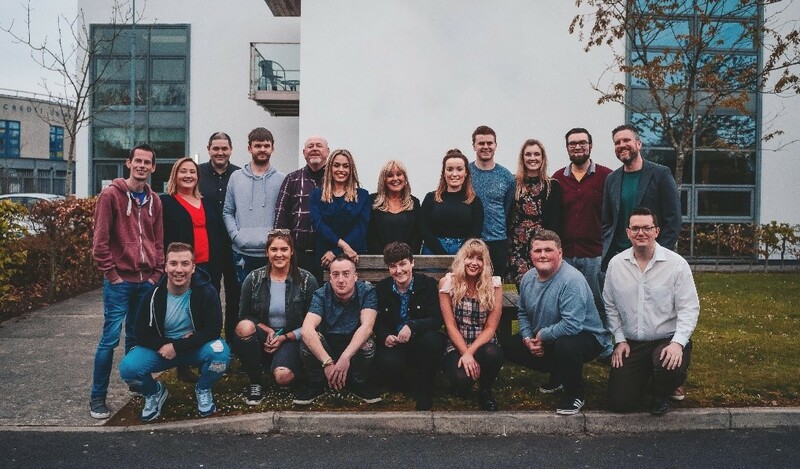 Fifteen graduates are setting their sights on a career in radio following the completion of this year’s Beat & WLR FM Broadcast Course in conjunction with Waterford Institute of Technology. Now in its tenth year, the part-time level 6 course helps aspiring broadcasters get a foot in the door of the industry by providing a grounding in several aspects of the industry. This year brought a host of experienced broadcast professionals from Beat into the fold, including Beat Breakfast jock and Head of Station Sound, Niall Power, who taught the talk radio module, Solutions Coordinator Kolyn Byrne, who covered social media, and SportsBeat Roundup’s Debbie Ridgard, who shared her knowledge of mobile journalism. Over the twelve-week period, students were also introduced to the general operation of a commercial radio station and the role of broadcast and digital journalists play in what is becoming a fast-evolving landscape. She continued: “To work from the studios at the Broadcast Centre and create content for radio in the form of features, interviews and music shows will be an invaluable skill. These weekly classes gave our students a unique chance to experience the inner workings of radio in the 21st century.